We LOVE books and LOVE to give books away to people. We enjoy sharing them as birthday and holiday presents... and sometimes just for fun as well. 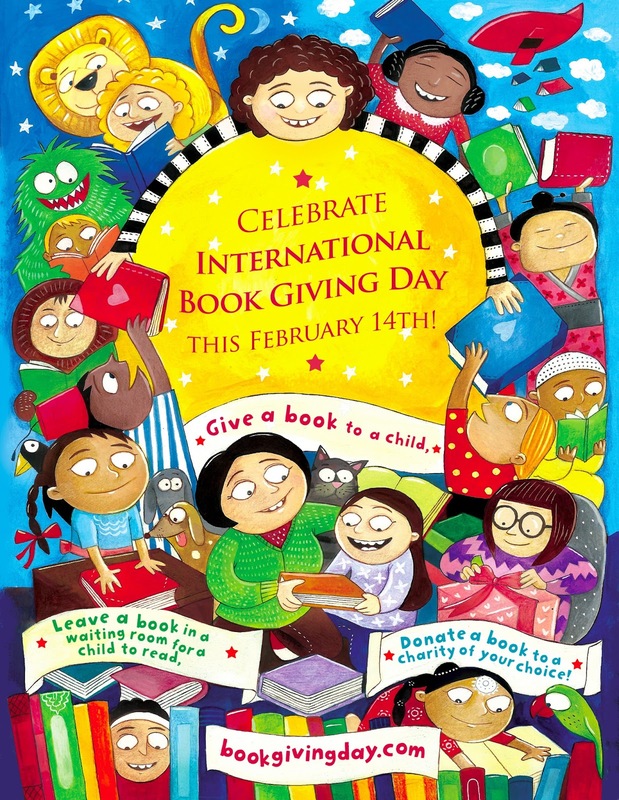 For International Book Giving Day this year we created three simple book packages and we mailed them to three special families so that they can all celebrate Dr. Seuss's birthday on March 2nd with us. 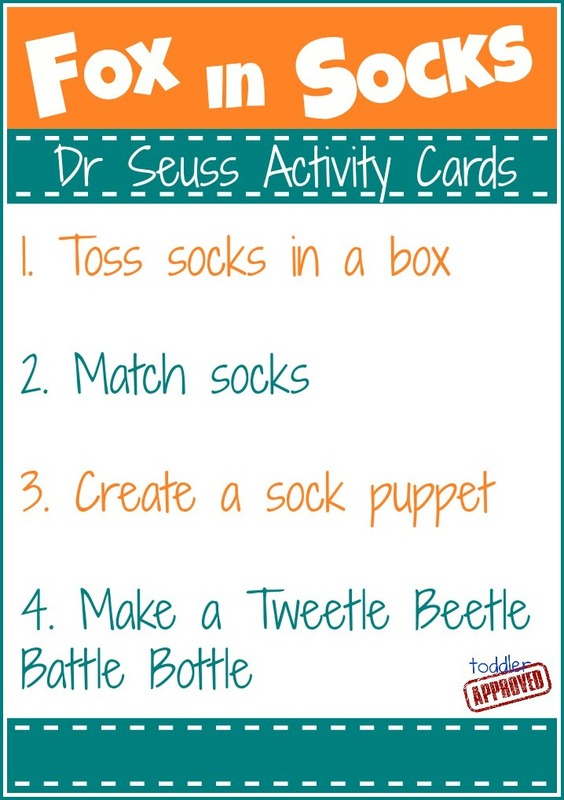 Each book package contained a Dr. Seuss book which was attached to an activity card sharing some book-inspired activities. I also shared the activity URLs that I am sharing below. Since International Book Giving Day is all about giving, I thought I'd share my Dr. Seuss activity cards with you too! Then you can print them off, buy some books, and give them to your own friends and family members. Fox in Socks is a classic Dr. Seuss book. It is silly and totally a tongue twister to read aloud! Horton Hatches the Egg is the story of an elephant who helps out a lazy bird by sitting on the egg in her nest for her. 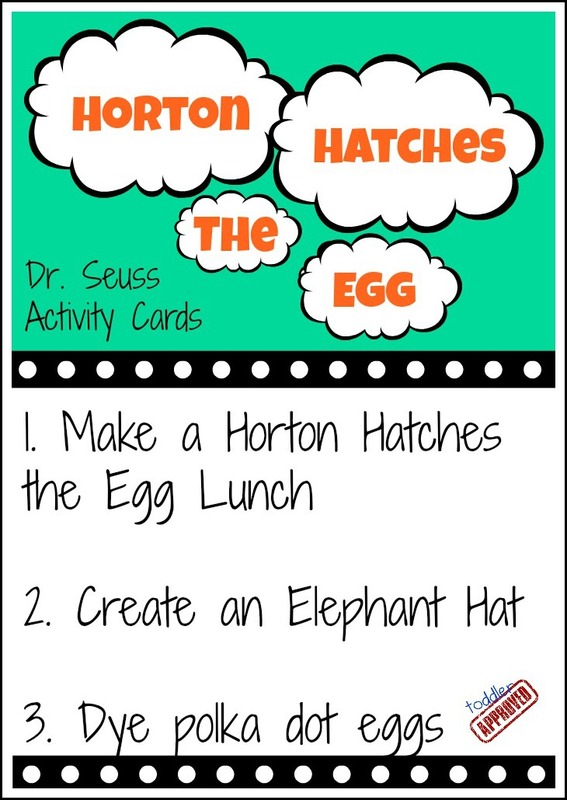 Horton protects the egg despite several problems and gets quite a surprise at the end of the book! 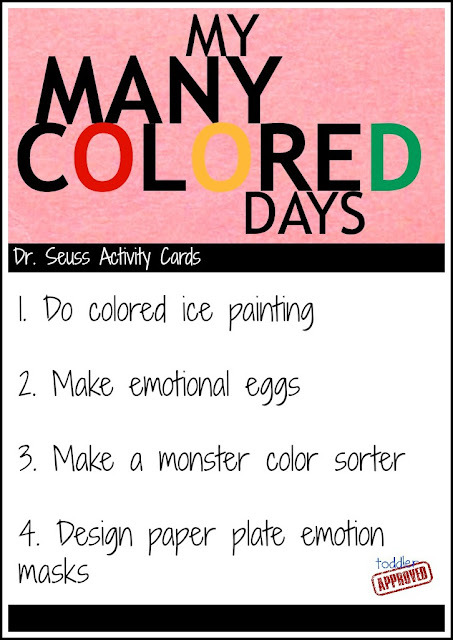 My Many Colored Days is a new-to-me Dr. Seuss book. The illustrations are colorful and beautiful and I love how they teach about different emotions in a simple way. You can download and print out a pdf of all three Dr. Seuss activity cards by clicking on the link below. Now that we've shared how we participated in International Book Giving Day we'd love for YOU to share how you participated! You can share in the comments, on our Facebook page, or you can link up a blog post that shows how you participated in the blog hop below. You can join in anytime between now and March 21st! We'd love for you to link up, stop by the other sites that are sharing, and have fun discovering more ways to give books! and us, Toddler Approved (US). In addition to giving these book packages, we also partnered with Harper Collins this month to share a fun kindness book giveaway with our Toddler Approved readers. The giveaway ends Thursday, February 21st at 11:59 PST so stop by and enter before time runs out! The Dr. Seuss connection is slick. We are collecting books throughout the month of February and will be distributing them to elementary school kids at a Title I school in town the week of Dr. Seuss's birthday. I hope we can spread the good news!